Jewish Peace Fellowship is a Jewish voice in the peace community and a peace voice in the Jewish community. We are a nondenominational Jewish organization committed to active nonviolence as a means of resolving conflict, drawing on Jewish traditional sources within the Torah, the Talmud and contemporary peacemaking sages like Martin Buber, Judah Magnes and Abraham Joshua Heschel. JPF was founded in 1941 to support Jewish conscientious objectors to the military, to help educate local draft boards --accustomed only to the Christian roots of conscientious objection--of the theological basis of the Jewish position on conscientious objection, grounded in Torah, Talmud, and other sacred and religious texts. JPF continues to support Jewish resistance--individual and communal-- to the arms race in the United States and Israel and throughout the world. We actively oppose capital punishment, conscription, the Israeli occupation, and U.S. armed interventions including the former Yugoslavia (1999). We support individuals who serve prison time for civil disobedience against Selective Service registration or in antinuclear actions. We monitor changes in Selective Service law in order to alert our membership and friends by our participation in National Interreligious Service Board for Conscientious Objectors (NISBCO) and with other anti-draft organizations. 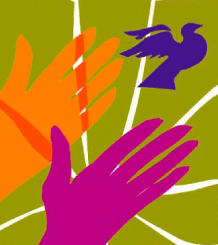 As one of the many interfaith religious peace fellowships affiliated with the national religious pacifist organization, the Fellowship of Reconciliation, we work in interfaith coalition with others. We have recently affiliated directly with the International Fellowship of Reconciliation in order to expand our membership to the international Jewish community. We support and link local group initiatives anywhere with our archive on Jewish peace sources and Jewish draft counseling. JPF is committed to renounce participation in war and other forms of violence. We recognize that there can be no peace without justice, and no justice without reconciliation, so we also support and work with groups in social justice activities as well as peace, reconciliation, and non-violence. We WORK to abolish war and to create a community of concern transcending national boundaries and selfish interests. We REFRAIN from participation in war or military service. We RESPECT the common humanity in each person, male or female, affirming the differences in religion, ethnic background, national loyalties ... all these are transcended by belief in the sanctity of life. We SEEK to avoid bitterness and contention in dealing with controversy and to maintain the spirit of good will while trying to achieve nonviolent solutions. We STRIVE to build a social order that will utilize the resources of human ingenuity for the benefit of all, in which our concern for the future will be shown by respect for the precious resources of the earth.